One of the things I most want to do in life is go to New York and watch a play... scratch that. Watch ALL the plays. It's so mesmerizing watching someone have the courage to go on stage and perform their heart out. You can feel the electricity of the energy that is on and off that stage. A few weeks ago, Chris and I attended two performances at local theatre companies. It was nice broadening our horizons. It had been awhile since I had watched a play in person, and I instantly got that rush again. I want to go to more shows! The first play we saw was a musical called Lend Me A Tenor by Ken Ludwig, put on by the Almost Famous Theatre Company. It was about a man trying to woo a girl and win over her father by helping him deliver a temperamental Italian opera singer to a special performance at the Cleveland Opera. In musicals, tragedy=comedy. And oh is there ever tragedy. Broken hearts, mistaken identities, cover ups. It was so fast-paced; the action never stopped and the performers never fell behind. It was so enjoyable. Musicals are my favorite because there is so much more that goes into them, but if it's done right, it looks effortless. Our second show that week was a play called Outside Mullinger by the Arizona Theatre Company at the Herberger Theatre. It was written by John Patrick Shanley, who wrote Moonstruck, and that was a big reason we wanted it see it. It's about a man and a woman in their late 30's who grew up as neighbors in Ireland. They've secretly loved each other all their lives but are only now starting to act on it as their parents are growing older and ill. It's dialogue driven, but it never lags. There is lot of heart and wit and Irish humor throughout. 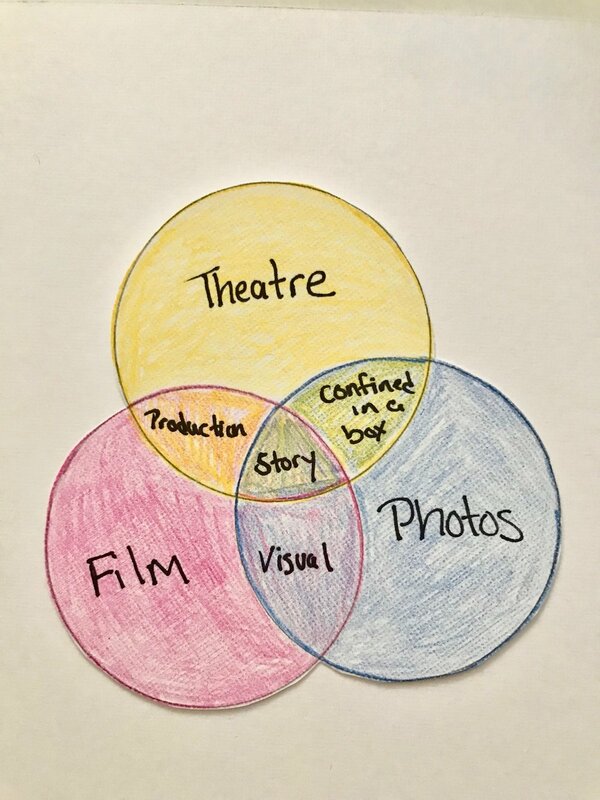 Plays, movies and photography have a lot of common. They each are an art form that anyone can do, but you have to really study and practice in order to master them. If you notice, the main thing that connects them all is Story. It sounds so simple: who, what, where, when, why and how; and yet it can be so incredibly challenging. Story is what keeps people engaged. If the audience or viewer doesn't feel anything in that moment, they will move on and forget about what they just saw. Story in photography keeps the viewer looking; it tells who the subject is or what they are going through. Story in a movie keeps the viewer guessing- what happens next? It makes them reflect and put pieces together. Story in a play makes the viewer feel as if they are IN that moment, not just observing. In movies and photography, the story is visual. You have to show it, not say it. In plays and photography, you have to tell the story within the confines of a small area. You want to relay as much information in that box. In plays and movies, every element of the production is used to tell the story. The lighting, the costumes, the set; everything needs to reflect the story that is being told. Every person in the cast and crew is an integral part of how the story plays out. Photography and movies give you the luxury of second chances; if something doesn't work you can try it again. Plays are live- the performance and production is what you put out there, which is a terrifying notion. But maybe plays are the one that have the advantage; you can focus more on being in the moment, conveying the story right then that you don't have to focus on being perfect or missing out on something.